I will post my full handshake report later, below is just Yukirin’s part for now. The ones for Haruu and Miyupon needs editing. I also want to write about the sendoff for Sae and Nacchan at the end of the event which I participated. 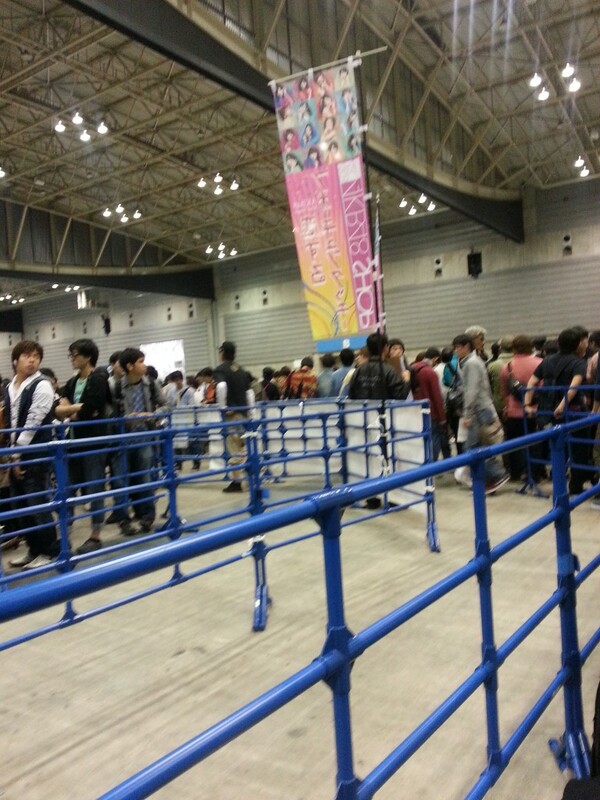 The handshake event was at Pacifico Yokohama. My hotel was really close by so it was a convenient walk over to the event. 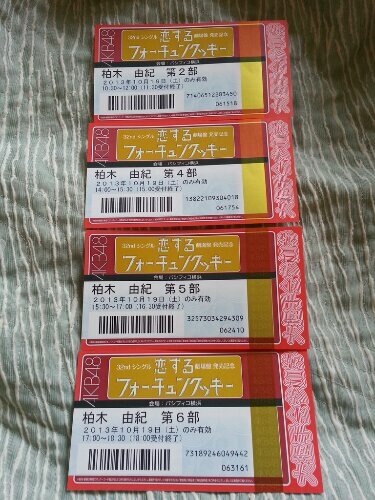 I had handshake tickets for Yukirin in Rounds 2, 4, 5 & 6. Round 3 is when most of the members are on break. I was rather nervous at the beginning as we were lining up in the waiting area prior to Round 2. My stomach was actually hurting for a bit. The waiting area was next to the goods lane area so there were lots of people and not a lot of space. I was surprised how nervous I got. Luckily, Yukirin’s line is always long and it gave me a lot of time to settle myself before it was time to meet her in Round 2. Yukirin was in Lane 97. Harukyan was in Lane 96 and Miichan was in the Lane 98. Yukirin started Round 2 about 20 minutes late. I wasn’t nervous by the time it was my turn. M: It’s been a year! It was obvious Yukirin was really tired, I had read earlier reports from Round 1 about Yukirin’s condition. As a fan, it kinda hurts to see your oshi so tired yet still giving their all to their fans. After Yukirin, I went to see Miyupon in Round 2. M: Please come to Canada! M: Is your English ok? After Yukirin in Round 4, I went to see Haruu. M: I liked all the songs in Birthday wedding! M: So, will you be composing the music for the next single as well? Y: (then she smiles and does a pump fist) I’ll try my best! M: Mm, do your best! I was a bit sad lining up for Round 6 as it was the last. M: So, see you next year? M: Do your best for your live! Y: I will do my best! I couldn’t stop smiling after the last round. I was just so happy to see Yukirin again!!! you are so lucky! i really that outfit when saw her blog pic, yukirin in tie. man, her smile in person must be mesmerize in your heart. i should start saving money from now. Really good you got to see Yuki a good few times, Glad to see she was OK after having a break, these HS must be tough for her, especially with her solo concert, single release and everything else she had on!!! hehe. Thanks~ Yukirin is awesome! and I ended up getting to see her once more after that hs event so it was definitely great to meet her! !